Dean Kirkland has quickly become a highly accomplished commercial, television and film director by combining his keen visual eye to unusual and powerful subject matter. His unique style and sophisticated approach have allowed him to transition from a-list photographer to well-respected filmmaker with an esteemed client list that includes the Home Depot, Lamborghini, Antonio Tetro, Clint Eastwood and Martin Sheen. 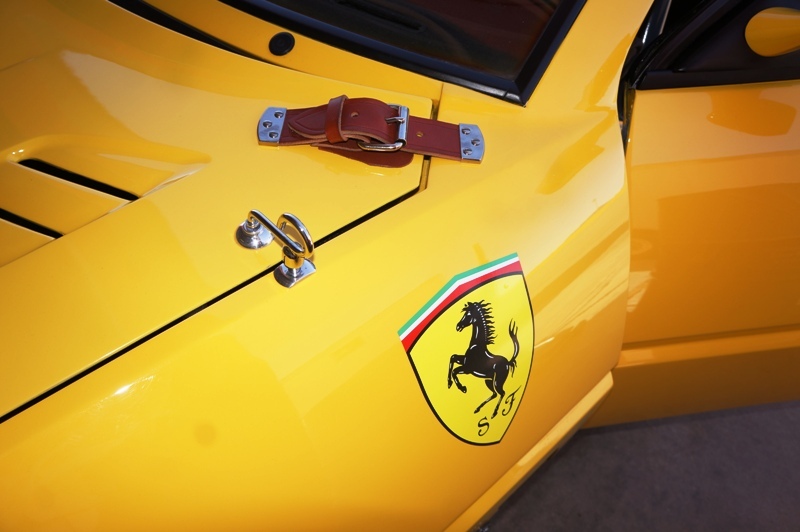 Dean is recognized for his innovative and unique style of automotive photography and is regarded by many high-profile collectors throughout the nation. In 2012, he combined his talents with the knowledge and racing experience possessed by his production partner, Le Mans winning driver Rick Knoop, and the two men established K&K Productions. 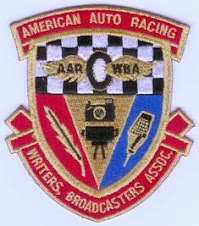 Their first collaborative project is a beautifully engaging look into the Pebble Beach Road Races from 1950 through 1956 titled, 'Racing Through The Forest' which has been scheduled for a Autumn 2016 release. Illustrating these wonderful stories through documentaries allowed Dean to photograph, interview and film some of the world's greatest cars and drivers. Dean is currently developing several documentaries which include Parnelli Jones, Bobby and Al Unser, Mario Andretti and Sir Stirling Moss. 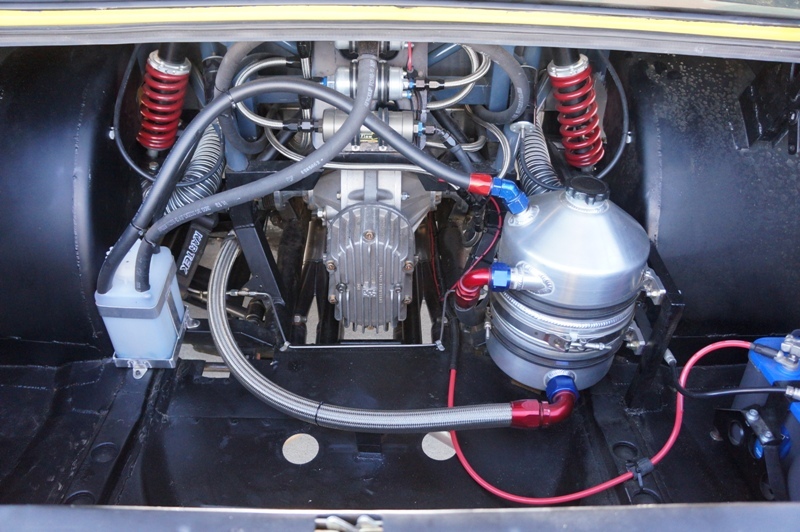 The ability to continue capturing and preserving this valuable automotive history in his unique style and aesthetic vision is the goal for K&K Productions and the living dream for Dean Kirkland. 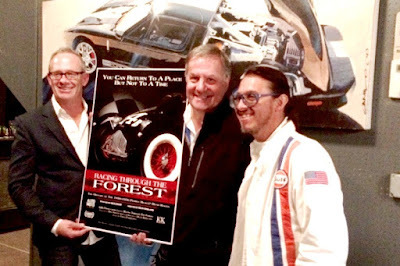 The very first screening of Racing Through The Forest was held in conjunction with the Concours d'Elegance at Pebble Beach on August 13, 2014 at the Inn at Spanish Bay. When did you first meet Rick Knoop and became involved with and accumulate the materials from which to draw the story that has now become Racing Through The Forest. After this first screening, what were the impressions received? In 2015, an interest was expressed to prepare the documentary for broadcast over public television ... how did this shape the documentary? When did this version air and what were the post airing impressions? I understand that the latest version of Racing Through The Forest is in its 4th and final revision. You are fresh off a pre-release screening of Racing Through The Forest at the AutoMoto Film + Arts Festival held in Detroit May 12-14, 2016. Tell us a little about how this screening came about, and your impressions as to the size of the attendance and make up of the crowd at the screening. Every filmmaker is confronted with issues of distribution and broadcast content access - where is K&K Productions on this arc of awareness and access to the Motor Culture and Documentary consuming public? Are there any future pre-release screenings planned for 2016 before the scheduled Autumn release? A documentary film produced by renowned racecar driver Rick Knoop and filmmaker Dean Kirkland entitled, “Racing Through the Forest – The History of the 1950-56 Pebble Beach Road Races” . The documentary was filmed over approximately three years and includes 50 interviews of legendary names in road racing such as Fred Knoop, Mick Marston, Bill Pollack, Jim Hall and Phil Remington. It chronicles the events from the first through the last Pebble Beach Road Races, which included legends like Carroll Shelby, Phil Hill and Bill Pollock in 1956. Some of these racers will attend the private screening reception and Q&A session emceed by racer Derek Hill. Sometimes, looking at and reading transcripts becomes an effort that feels like the process of digging for hidden treasure in order to find the meaning of what is being discussed at the conference. At the end of a most pleasurable of modern era, formula style Indianapolis 500 races out of a total of 100 INDY 500's that have been contested - which saw 54 lead changes between 14 drivers with an average speed of 166.634 mph - we end up with a press conference that included team owners Michael Andretti, Bryan Herta, and driver Alexander Rossi that becomes a great read and provides an understanding into the dynamics of automobile racing motor culture. It is not just the fact that a 100th observance/running of anything becomes historic, but the way the additional factors in the historic nature of the participants and event details ... the Andretti and Curb-Agajanian families, Formula 1 and American Open-Wheel Racing, #98 - Parnelli Jones - Bryan Herta - Dan Wheldon connections, race management and team dynamics, first time NAPA Auto Parts sponsorship and more ... all converge to deliver one of the greatest stories in sports so far in this millennia. THE MODERATOR: Joyous day for a family that's been so much a part of this place. The hundredth anniversary. To have a victory and have it so dramatic, [to] have most of your squad be incredibly strong, [this] had to be great. MICHAEL ANDRETTI: It's amazing. At the start of the race, it looked really good. Ryan [Hunter-Reay] and Townsend [Bell] were running really good up front. We thought they were going to be the guys to beat in the end. Unfortunately they had their problem in the pits there, which I could not believe. At that point I thought our day might have been over for a shot at winning. All of a sudden I watched the way Carlos [Munoz] and Alex [Rossi] were coming up through. Maybe they still have a shot at it. After that last pit stop, I knew that Alex was going to try it. We knew then, All right, if he's going to try it, we're going to try different strategies. It really worked out. We had two cars that had a shot at winning with two different strategies [fuel mileage pace | speed pace]. So to come home 1-2 is just incredible. My hats off to Bryan Herta. He was the strategist there. Like I said, I think he used some of that NAPA know-how [title sponsor of the #98] to get himself there to the end. They were on fumes at the end. Alex did an awesome job at saving fuel, to the point where he's pulling in the clutch and coasting. It just was crazy. It was amazing. I don't know what to say. Great day. To be a part of history, to win the hundredth running, to win it with a 1-2 finish is incredible. I'm a bit speechless. THE MODERATOR: My wife sent me a text almost immediately and said, Are you surprised? I said, Not much. Alex is kind of a quiet guy. He has been strong from the moment he got here. MICHAEL ANDRETTI: Absolutely. He had never seen this place till a couple months ago. He had no idea. He came in and was on pace, was not intimidated from the first lap on. Really went to school, used his teammates, learned every day throughout the month. I saw that he was very confident going into the race. I'm like, Hmm, who knows, we'll see. He did a hell of a job. Kept his composure the whole race. Even when there were some problems, he still kept his head in the game. Like you say, I'm not surprised, but it's still amazing to be a rookie and to win this race. I just heard a stat that a rookie won the first race [Ray Harroun], won the 50th race [Graham Hill], and now the hundredth race. Pretty crazy. BRYAN HERTA: I don't know about you guys. I'm shocked. MICHAEL ANDRETTI: I kept saying, Wow. 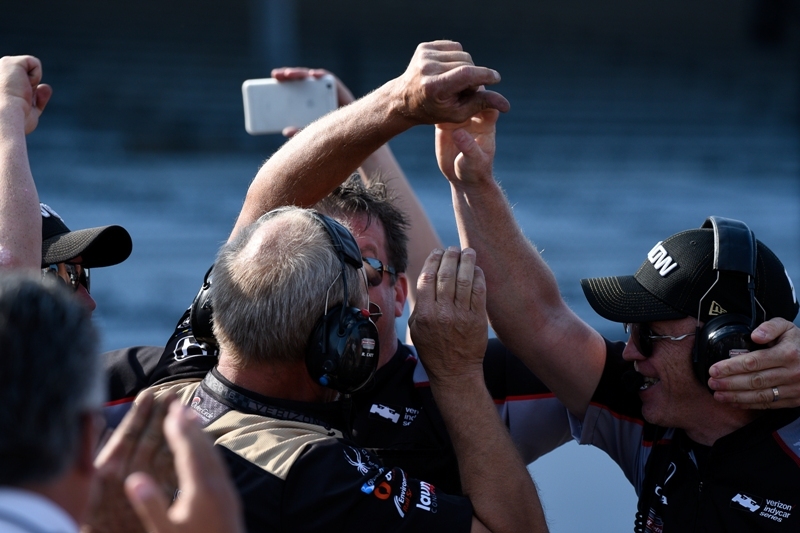 BRYAN HERTA: Like, I can't believe this happened. I don't even know what the next question is. February 23rd, he [Rossi] said, I'm clueless about this. 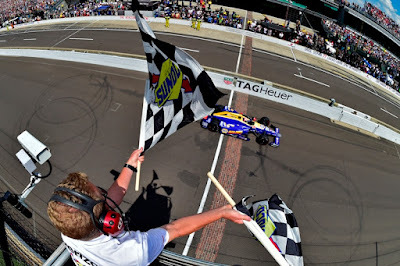 MICHAEL ANDRETTI: He [Rossi] had no idea. He honestly had no idea. He was 100% Europe, the way he was training and everything. He never even saw an oval except for Phoenix before this. Impressive. Really impressive. THE MODERATOR: Bryan Herta has joined us. The first thing that came to my mind in thinking about the history of this race, the hundredth, Parnelli Jones wins in 1963. You've been a part of a couple big wins with the 98 number on the side, as well. BRYAN HERTA: It's amazing. I got to say, we had such a weird off-season. This partnership with Michael and his group kind of came out of a set of bad circumstances. I told him on the parade lap there, I said, Thank you so much. Without him [Michael Andretti], I'd have been watching this one on TV. What a difference. We worked really hard together. Just so appreciative of the opportunity that Michael and his organization have given me, and the guys that came over from Bryan Herta Autosport. This race was amazing. To be part of a second win [first was Dan Wheldon] is beyond words. MICHAEL ANDRETTI: It's been great. The partnership has been fantastic. We've always been good friends. It was great to have him back part of our family. Hopefully we'll stay together for a long time. THE MODERATOR: We'll take questions [from the gathered members of media]. Q. Michael, Penske had four cars, Ganassi had four cars, you had five. What kind of challenges were there? Did the five cars make you stronger? MICHAEL ANDRETTI: Absolutely. It's one thing we've been able to do, is use the five cars to our advantage. You have that much more information throughout the month. Yeah, you know, it's a great formula that we do have. We do a really good effort on that fifth car. It's not a half-assed deal. It's a winning effort. It just adds to it. It doesn't take away at all. 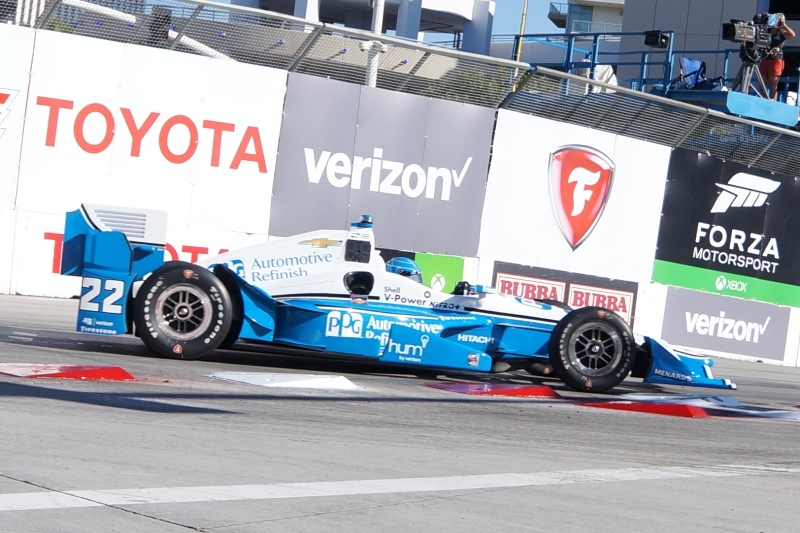 BRYAN HERTA: I got to say, Townsend and Ryan were so strong early. They had their trouble. They played a big role in Alex winning this race. Townsend dragged us around. We were on a fuel plan, we were on this strategy. Townsend dragged the No. 98 for a while. Late in the race, Ryan came around us and we were able to draft him and save more fuel. You guys saw how close it was. Without our teammates, we don't make it. Q. Bryan, is this reminiscent of what Dan Wheldon did in 2011, with a little different twist? BRYAN HERTA: It's different. I can't compare it other than to say I'm so happy. I can't overstate how hard it was for Alex to do what I was asking him to do on the radio: to drive to a fuel number that was almost impossible, but still keep pace and keep track position. We had a few debates about it, but he kept pushing, he kept digging. He did exactly what we asked him to do. Obviously things came right for us at the end there. Q. How impossible is 36 laps [on one tankful of fuel while racing at IMS]? MICHAEL ANDRETTI: Well, it's possible (laughter). Q. The biggest [number of laps ever achieved] was 31, and that included pace laps. BRYAN HERTA: It was huge. But we ran the numbers. I have to say, the guys on the timing stand, it started off every half lap, then every quarter lap giving us updates. We were watching it that close. Like I said, it's one thing to have the plan, it's another thing to be able to execute and execute under that kind of pressure [an INDY 500]. It's amazing. 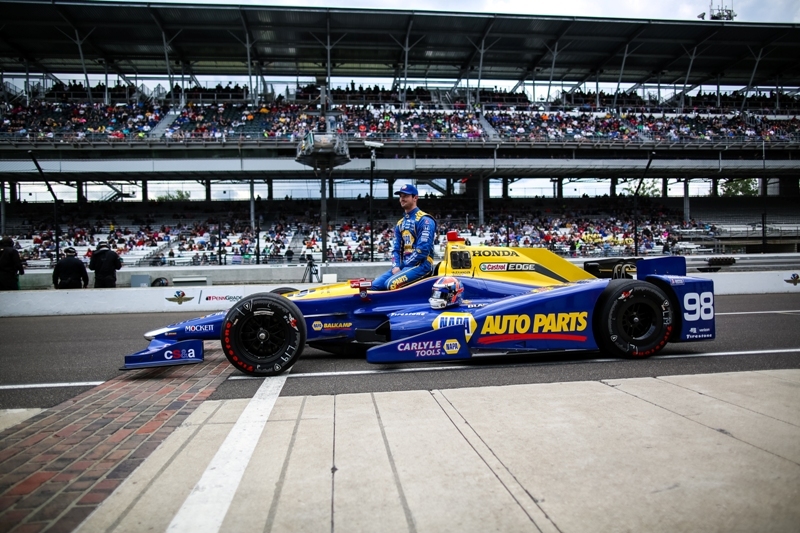 MICHAEL ANDRETTI: I told them that it was the NAPA know-how. THE MODERATOR: Alexander, I mentioned to Michael, if anyone has been watching, you've been strong the entire month. You've been in here a few times because of that. I will have to say, when I saw you go into the winner's circle, I thought to myself, That's a guy who doesn't know what just happened. ALEXANDER ROSSI: No, I still don't. I'm still on the last lap actually with Bryan yelling at me. He is like, Pull the clutch in and coast. I'm like, What? ... Okay. But, no, I mean, it's an unbelievable result for the team. Just is a testament to how hard everyone has worked this entire month. We've been strong from day one, on Monday. It's made my life that much easier. Made my debut at Indianapolis and the 500 a lot more smooth than it could have gone. THE MODERATOR: We'll continue with questions [from the gathered members of media]. Q. How tough was it? Did you actually run out of gas coming down the main straight? Looked like you were coasting. 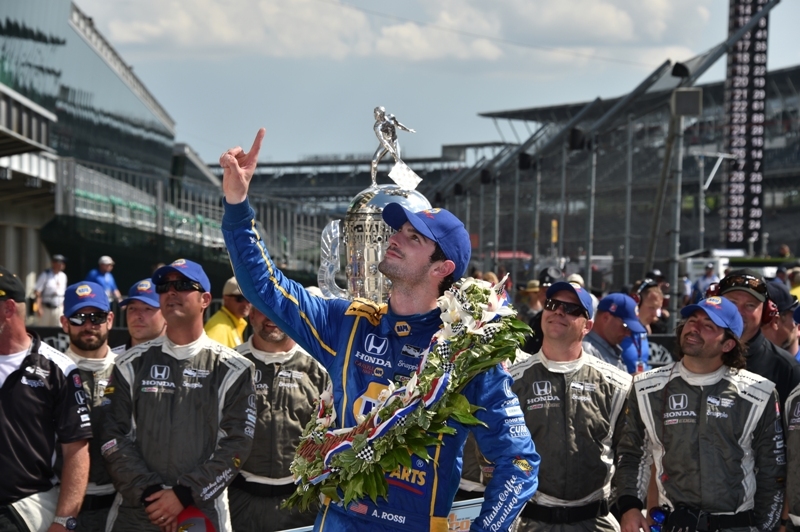 ALEXANDER ROSSI: I was sputtering out of [turn] four for sure. But I was afraid, so I just pulled in the clutch anyway. They were walking me through where P.T. [position & timing?] was. I mean, it was close obviously, close for comfort. But obviously the people on the timing stand knew what was going on and we made it work. Q. As a rookie, you had to do a lot of things to put yourself in that position, be very disciplined. When you look back on this first experience, how tough was it to do all that? ALEXANDER ROSSI: I was really focused on taking it one lap at a time. The emotional rollercoaster of this race is ridiculous. There were moments where I was stoked, moments where were heartbroken, moments where I was stoked again. I need to see a psychiatrist after this (laughter). It was tough. But I just really focused on doing the job I could. Bryan has a calming demeanor on the radio. The spotters were fantastic. I knew everything that was going on. I focused on my job: making sure the car was in the right spot all the time. Q. Alex, it was February 23rd, you said, I have no idea what I don't know. You were clueless about this series. 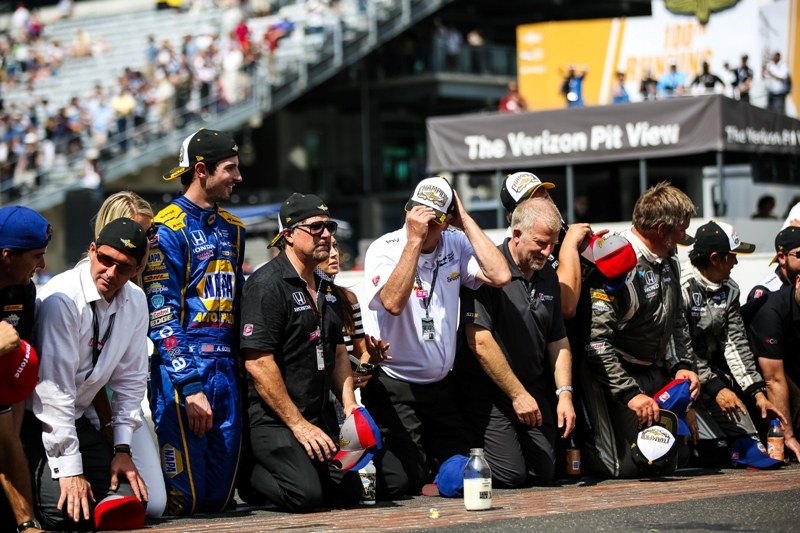 ALEXANDER ROSSI: Thanks, man (laughter). Actually, he [Bryan Herta] said it. Q. Three months later, you're an Indy 500 winner. This is not where you thought you'd be. ALEXANDER ROSSI: It isn't. It isn't at all. That's no secret. I'm ecstatic to be here. From the first race in St. Pete, I felt immediately at home in this championship. There's been some struggling with some difficult weekends, we've had our struggles. It's been a new experience for me. It's been a new experience for the merger of Bryan Herta Autosport and Andretti Autosport. We've worked very hard every day to try to improve and get things better. Really the Indy GP [Angie's List Grand Prix of Indianapolis - Rossi finished P10 of 25 cars] for us was a big step forward in terms of confidence, kind of a general understanding of where we were at. To carry that forward into all the practice, qualifying, and now this, it's phenomenal. It's just a huge testament to the great people I have around me. Q. Bryan, you found this driver. Where did you find him and how? BRYAN HERTA: Actually, thank you, but Michael found him. He was known to us. MICHAEL ANDRETTI: We followed his career all the way through when I was [watching] in Formula One and Formula 3 even, all the way through. He was our hot, young American prospect to be in Formula One. He finally achieved his goal last year, which was awesome. Unfortunately it didn't work out for him. Maybe in the end, it [being in F1] could work out for you. 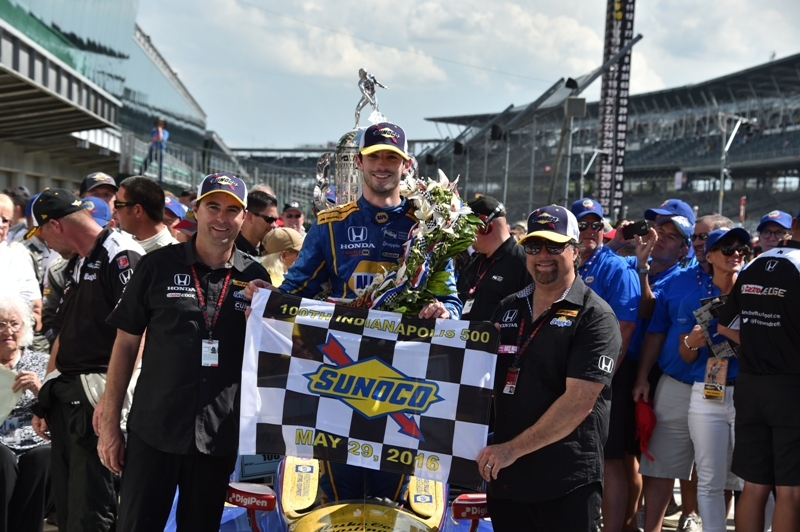 ALEXANDER ROSSI: I think it worked out just fine at the end of the day. Q. 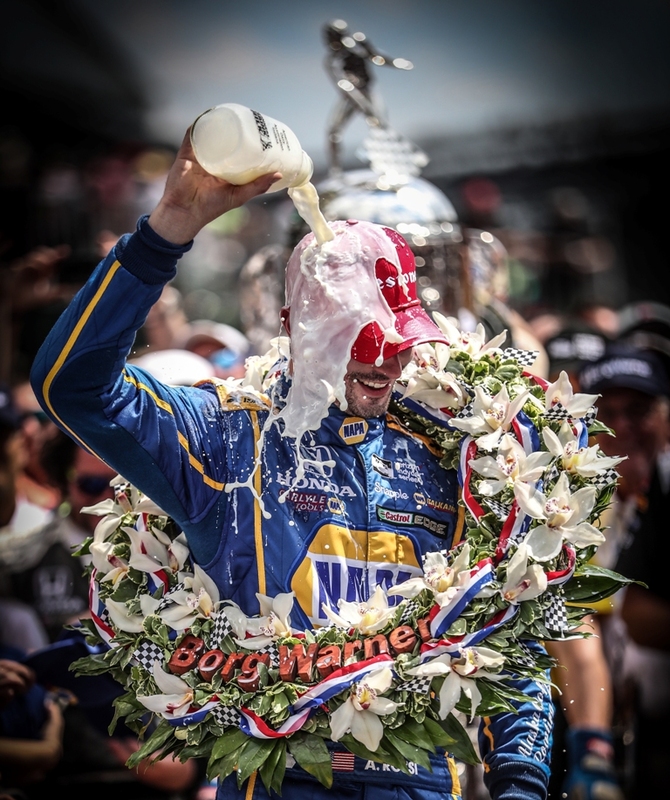 "Indianapolis 500 winner, Alexander Rossi", you'll be introduced with that title for as long as you're racing. How cool is that for you? When will that sink in? 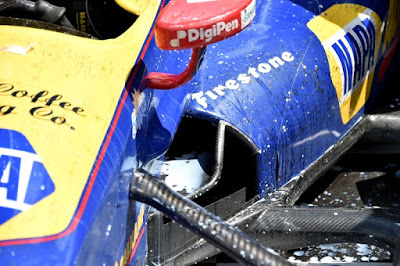 ALEXANDER ROSSI: It won't sink in for a while. I don't want it to. I want to enjoy this moment, enjoy it with the people around me. It's obviously a huge honor and privilege, something I'm going to carry with a great sense of responsibility. We need to really push this forward. 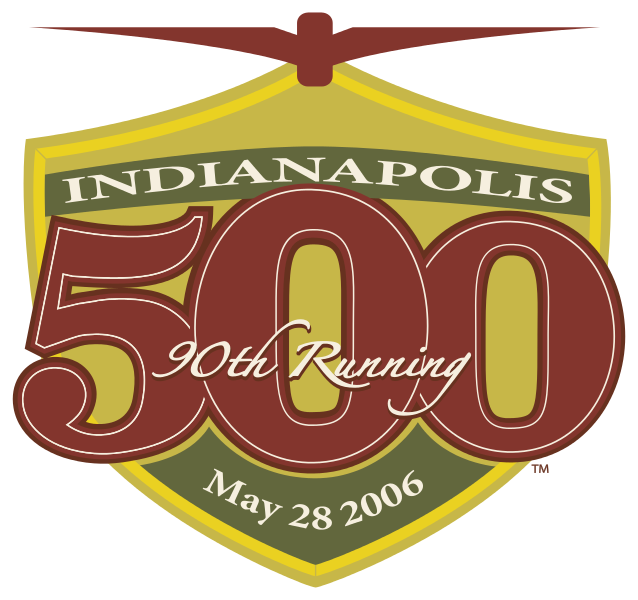 It was an incredible event for the hundredth running of the Indy 500. We need to do everything in our power to continue the momentum forward, make it even bigger next year. Q. As someone who has lived in Alaska, I wondered how you hooked up with the coffee people [sponsorship] in Fairbanks? Have you ever been to Alaska? ALEXANDER ROSSI: Yes. Anchorage. It was cold (laughter). Q. 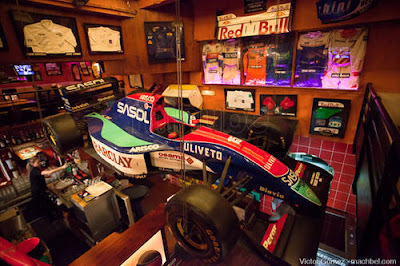 Did you watch the Monaco Grand Prix this year? ALEXANDER ROSSI: I watched it this morning. MICHAEL ANDRETTI: I did, too. ALEXANDER ROSSI: Basically, he was a guy that my father raced in an amateur series in northern California, he raced against him. Michael Gesser of Alaska Coffee Roasting. My dad pulled him up to a go-cart track at Sonoma one day, had him watch [me race]. He was impressed, liked our story, liked what we were trying to do. He's been involved [with sponsorship] every step of the way through the good and bad times for over 10 years now. Q. Alex, headlines across the world are going to be talking about the rookie winning the Indy 500. With your extensive open-wheel background, how fair is that to call you a rookie? Also, how has your previous experience prepared you for IndyCars, especially the Indy 500, if at all? ALEXANDER ROSSI: Well, considering the only actual site of an oval that I'd ever been to was Phoenix in February, I'm definitely a rookie on ovals for sure. Obviously street courses I have an understanding about. But regardless, IndyCar is a whole different can of worms than anything I've been a part of. It's incredibly competitive and incredibly close. You have to be perfect all three days, everyone around you, drivers and teams. There's a lot that goes on that people don't really see. It's incredibly challenging, the championship. There's a lot that I have learned. I have a lot to learn still. I need to continue working hard to carry that forward to Detroit [Dual In Detroit - June 4 & 5] and Texas [Firestone 600 - June 11]. Q. Alex, one of the other journalists mentioned, Where did you find this kid? For those of us who followed you throughout this, trying to get the break, share with us that journey from when you left California. ALEXANDER ROSSI: That's a long journey. Yeah, no, I left California when I was 16 to go to Europe. The goal was to get to Formula One. It was that way ever since I was 10 years old. The reason I went to Europe was I won a test with BMW Sauber F1 after winning the Formula BMW World Finals in 2008. Went over there, started racing in Europe. Got involved with at the time it was Team Lotus. Kind of a junior development driver. Started to learn the world of Formula One. Kind of stayed in that kind of role all the way through 2014 when I got an opportunity to be the reserve driver for Manor Marussia or Marussia at the time. 2014 was an incredibly challenging year for a lot of different reasons. At the end of the year I didn't actually know what I was going to do. It was the beginning of '15 when I first met Michael in an owner and driver capacity. We talked about potentially putting something together for 2015. I got an opportunity to go back to Europe and race in GP2. I took that chance. It resulted in doing five Grand Prix at the end of last year, as well as finishing out GP2. Things didn't go quite according to plan for 2016 in Europe. As we already said, things worked out incredibly well for me to come here and work with Andretti Autosport with a car they were forming with Bryan Herta. Four months later, here we are. Q. Alex, you hadn't even seen this place till Easter Sunday. What did you think at that time? Did you even daydream what it would be like to win here? 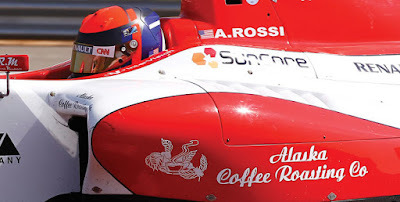 ALEXANDER ROSSI: Every time I get in a racecar, I want to win. 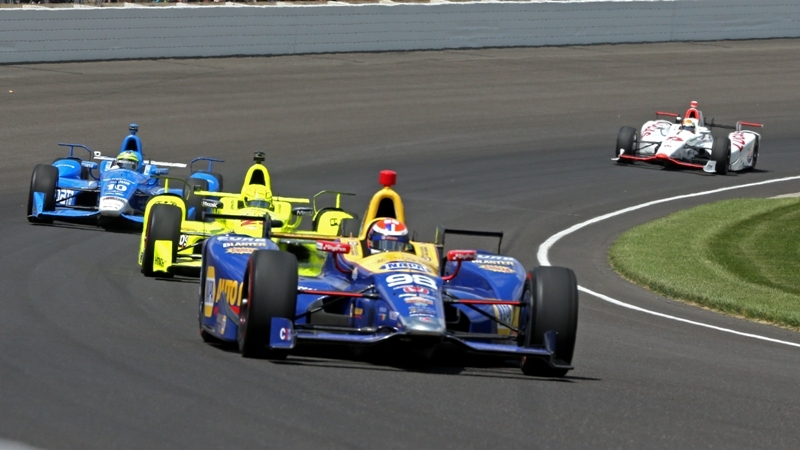 I was incredibly disappointed with 11th [in INDY 500 Qualifications]. A lot of people were expecting me to be happy with it. There was a bit of criticism that I wasn't happy with 11th as a rookie. Well, I'm here to win. That's the goal I have every single time I get in a racecar. Did I imagine it would happen? No. Did I want it to happen and was I working for it to happen? Absolutely. I was glad we were able to make it all come true. Q. I think you said the other day the place you watched last year was the Stars and Bars Monte-Carlo [in Monaco]. How big of a cheering section do you suppose you had there today? ALEXANDER ROSSI: I got a lot of good luck messages from people that were in Monaco. I know quite a few were watching. Hopefully they stayed till the end. At the middle of the race, it wasn't looking so great (laughter). But, yeah, to be able to pull it out, there will be quite a lot of people happy over there. Q. You talk about Formula One. It didn't work out the way you wanted. Have you and Michael had some connection or bond over that? MICHAEL ANDRETTI: I don't know if I would say that. I guess there are some things we can definitely relate to. The scene is quite different over there than it is here. The thing that I tried to explain to him, when you come over here, you're going to really enjoy the racing. Over there it's a lot more politics and it's just not as fun. Over here, it's all about racing, and it's fun if you're a driver. I think he sees what I was talking about now. ALEXANDER ROSSI: Yeah, for sure. Obviously, I mean, having both of these guys next to me who have been incredibly successful in American open-wheel motorsports, motorsports in general, has been hugely helpful for me. You can relate to someone that gets it, can kind of talk to you from a driver's perspective. That makes a huge amount of difference. Q. Alexander, can you talk about the role that your teammates played in getting you to the finish, helping you save fuel. Michael, obviously you don't want to see people crash in the pit lane, but that delivered the win. Does that make it easier to pay for all that crash damage? MICHAEL ANDRETTI: Does make it easier. But it's an unfortunate thing for those two. They were really, really strong. I think they were going to be a major factor at the end of the race. I honestly couldn't believe it when I saw them take each other out. Couldn't believe it. But like I told you earlier, still got three more bullets in the gun. As it was going, seeing him and Carlos come back up through, we knew his strategy, we knew that we had two different strategies going there in the end. Hoped one of them was going to pay off. So they both did because we came home 1-2. Q. Alexander, much has been said about the fact that you excelled the last four laps. What skills got you to that position from the beginning of the race to that point? ALEXANDER ROSSI: It was just patience. Bryan kept reminding me the way we were going to win this race was by hitting the fuel number. It was very difficult because obviously I had at the time cars in front of me that I knew I was quicker than. Throughout the whole race we were overtaking cars. It was very hard to then not do that, look big picture. I wouldn't have been able to do that without Bryan on the radio and offering the support and wisdom that I needed. What else that made the job easier was the NAPA Auto Parts Curb Honda was unbelievable to drive. I could focus solely on hitting the fuel number. I didn't have to think about balance issues or inconsistencies. Like I said before, it's a testament to all the people in the background. Q. Alexander, at what point in the race did you think you could win it? Was it when you led laps early on or trying to hit that number? ALEXANDER ROSSI: Probably lap five, if I'm honest. I had a bit of a conservative start. I was able to overtake cars. I was overtaking big cars. I knew if that was the case, we definitely had the opportunity to go forward. There were a couple setbacks we had, pit stops that put us back. We had to come forward again. Every time we fell back, we were able to come forward. I knew we were strong, the pace was there, we were able to pass cars, follow cars. It wasn't much of an issue. That's why I mentioned the emotional rollercoaster because I knew we had a car that was good enough to win. When you see yourself on the pylon, 29th, whatever, you're like, This isn't great. Yeah, I mean, it was kind of through the whole race. I just made sure the overtakes I did were necessary and strong. It was a culmination of a lot of things that got us there. Q. Alex, you told me on Saturday flat out you were going to win. I thought it was great you were so optimistic. Did you think on Saturday afternoon you were going to win? ALEXANDER ROSSI: I think the question was -- I don't know. Like I said, I get in the car with the goal of winning, being on pole, being the fastest car on the track. I'm pretty pissed off if that doesn't happen. I go in with that mindset. I didn't have any preconceived notions of me winning, but I was certainly doing everything to make it happen. Q. Michael, during your career, you came awfully close to winning. Are you a little bit jealous today? MICHAEL ANDRETTI: No, I was happy for him. My driving career, just wasn't meant to be. We led a lot of laps here, but we never led the right one. No, I was just so happy for our team. Not jealous at all. Just proud to have these guys, proud to be a part of it with all of them. The whole team, not only these guys here, everybody on the 98 car, but everybody on Andretti Autosport. This is absolutely a team effort, all five cars. No, not jealous at all. Q. Alex, what did you think of the nature of this type of racing? Very high speed, a lot of passing. The only other oval you raced on was Phoenix, which is a different style of racing. ALEXANDER ROSSI: Yeah, I mean, it was okay. I obviously was comfortable with it. That was largely in part to the fact that because we have a five-car team, we were doing organized group runs at the end of every single day. Where I started Monday on the start of a group run to now is completely different. As Michael just said, it's a team effort. All four other drivers were totally willing to help me understand how the car's supposed to feel, what you're supposed to do, little tricks. We do that every single night. We discuss things. It's a huge effort on all of our parts. I'm just honored to be able to drive next to all four of them. Q. Michael, you bring in NAPA as a sponsor. 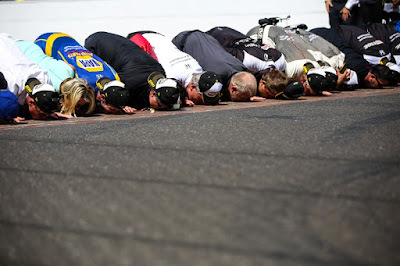 You give them a victory in the hundredth Indianapolis 500. Is this going to remain on the car the rest of the year? MICHAEL ANDRETTI: I hope so. I mean, we'll see. We'll have to talk. When we did this deal, it came together so fast, but we already were starting to talk, What could the future be? I'm hoping this might speed it up a little bit. Q. Alexander, when you look at your whole month of May, running practice every day, qualifying, it's not like a standard race weekend. 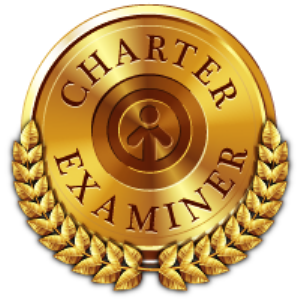 What did you make of the month and the extracurricular activities that come with this month? ALEXANDER ROSSI: It was busy. I was very happy to get in the racecar at 12:03 today. Finally I can go do this and I don't have to talk about it anymore, but here I am talking about it. The next three, four days is going to be pretty incredibly busy as well. The PR team is pretty great, so we'll get through it. Q. Michael and Bryan, what did you see in this guy that told you he was something special? What makes him different from someone else? MICHAEL ANDRETTI: Well, I think his career. He was brought up in the right way. He was always competitive in every formula he was in. I think what makes him different from some others is he's quite calm. He doesn't get excited over anything, it seems like. Here he is winning the Indy 500, he's like, Yeah, yeah, well (laughter). It's just the way he is, which I think works good for him when he's in a racecar. BRYAN HERTA: I had no idea he was good this. I mean, I was aware of him. Frankly, Michael had a previous relationship. When we started putting this deal together, when we got to the point of topic of drivers, immediately they brought Alex up. He was always the first choice. We were able to get that deal together really quickly. But I really enjoy working with him. I think personality-wise, he and I have some similarities, although he's even calmer than me. MICHAEL ANDRETTI: You think you're calm (laughter)? BRYAN HERTA: It works really well together. Again, I have to give Michael the credit. Back when I drove for him, when we had all those great years together with the four of us, it wasn't an accident. He chose people based on how they fit in, putting these groups of people together. I think he really saw the same thing here, a good fit. I don't know if he gets enough credit for having the vision of understanding what a team is and not just individuals, but putting a team together. Q. Michael, the guy sitting next to you has other irons in the fire. We might see him in a Grand Prix car later in the season. Q. Rather than him driving in the back of the grid in Formula One. 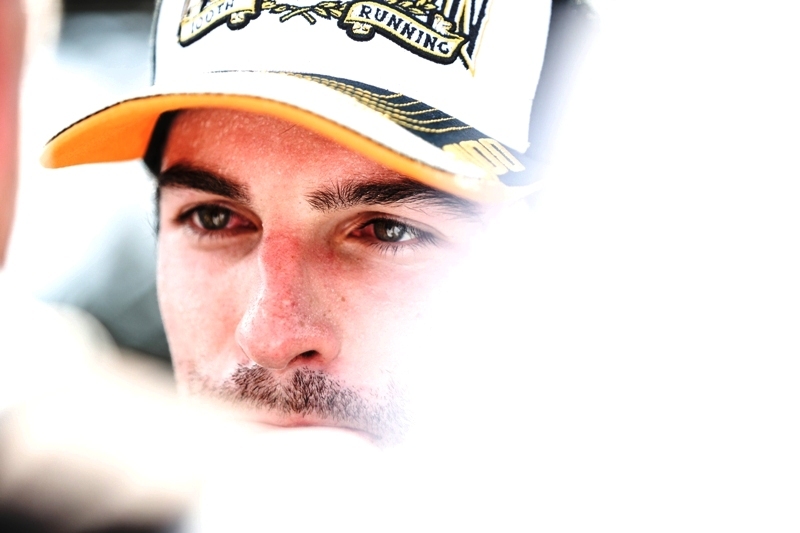 ALEXANDER ROSSI: I can certainly say I'm not in a Grand Prix car anytime soon. I'm a reserve driver. I sit around and pretend to look important (laughter). There is no driving involved. I drive to the track in a rental car. Q. Alex, tell us about the drivers that inspired your career in Formula One and also the Indy 500. ALEXANDER ROSSI: So in Europe, it was Mika Hakkinen because he was the underdog against Michael in Ferrari. You always want to go for the underdog a little bit. So to watch him pull off some pretty incredible victories, upsets, was pretty cool for me to watch. Honestly, the very first Indy 500 that I remember watching, and I'm not saying this because of what's sitting next to me, but it was 2006 with Marco. That race still stands out in my mind. It blew me away that somebody as a rookie was about to win. That is something I'll remember for the rest of my life, for sure. 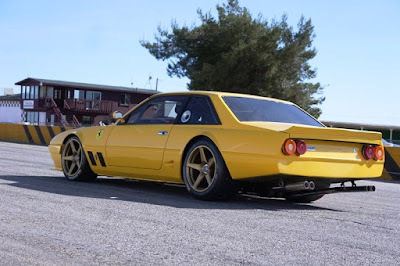 There is no such thing that defines the term '1-off' than where this term came from and was intended to be - "One-Of" - and that is exactly what this latest Fly Yellow Ferrari vision from the garage and mind of Jim Busby is ... One-Of. No Ferrari 400i was ever created as a racing platform the way the Ferrari engineering staff would have created one if they had turned their attention to this unique creation for pedestrian grand touring use. 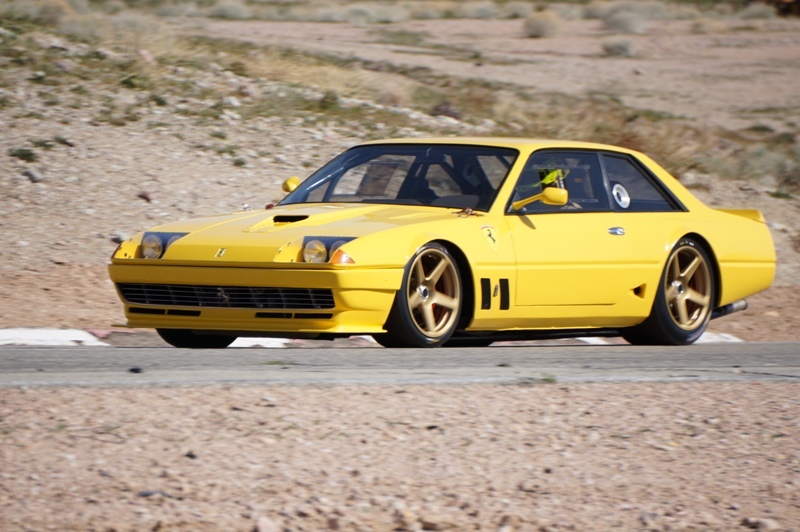 Through the research and ingenuity of proven racecar designer Jim Busby and his capable crew, this "One-Of" GTC (because there is only one-of Ferrari 400i GTC) is now a reality. The answer? According to Busby—former drag racer, perennial hot rodder, two-time class winner at Le Mans, IMSA icon, F1 Clienti aficionado, and race-car constructor—Ferrari would have created something like the machine you see here: a one-off track-ready muscle marvel Busby calls the 400i GTC. 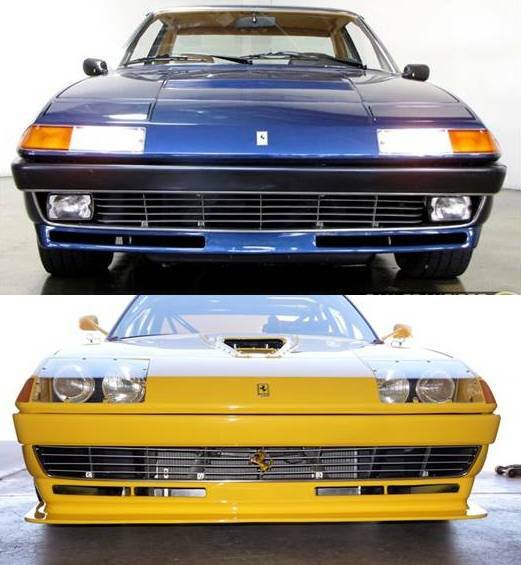 In order to build a competition version of a road car, of course, you need to start with that road car. Busby found this once dingy grey non-running 1982 example (s/n 39227), then housing dead leaves and old bird nests, in Los Angeles. It had no traceable past—its last owner’s name redacted on the title, the last valid registration in Maine 14 years ago—which is uncommon for a classic Ferrari. 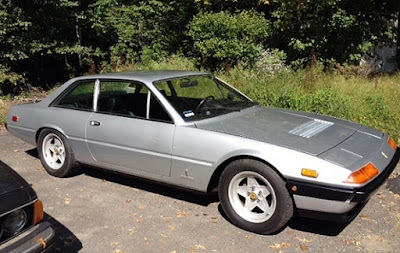 But then the 400i, of which 1,308 were produced between 1979 and ’84, was a relatively unpopular model, being expensive, heavy at 4,100 pounds, and only brought to the U.S. through the grey market. It was the perfect starting point for a track car, so Busby bought it for, as he puts it, “virtually nothing.” Good enough. 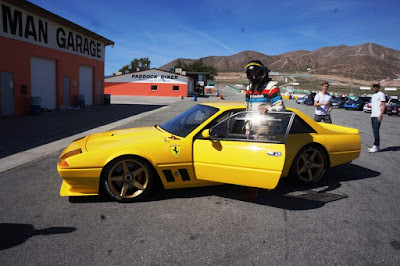 On April 24, 2015, he had the Ferrari hauled to his shop, Jim Busby Racing, in Laguna Beach, California. Busby and crew stripped out 400 pounds of factory insulation and heaps of rotten leather. “We threw everything away right down to a bare tub and went to work,” he says. The weight loss didn’t stop there, however. All in all, the 4,034-lb. 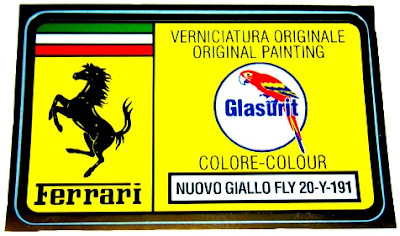 Ferrari was relieved of 1,000 pounds of not-necessaries. Busby goes on. 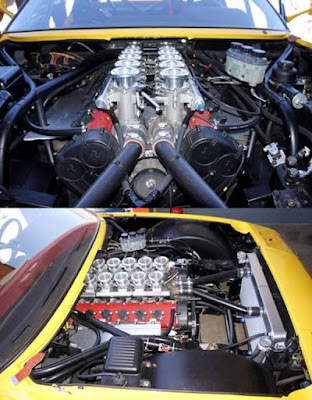 “We took out the original 4.8-liter motor, put in a 75-pound lighter, more powerful 5.7-liter 575M [motor], and moved it back 8 inches,” he says. Rather than using Ferrari’s original intake and engine-management setups, Busby converted to individual intake stacks and a MoTeC 400 racing system. The 575M powerplant currently makes 510 horsepower, the same as stock, but later this year Busby plans to pump up the engine to 700 hp. This will be achieved by porting the heads, installing new cams, and other refinements he learned while building a 575M to race on the salt flats of Bonneville, Utah. “The car came with the stock four-speed Borg Warner Hydro, an awful gearbox,” continues Busby. 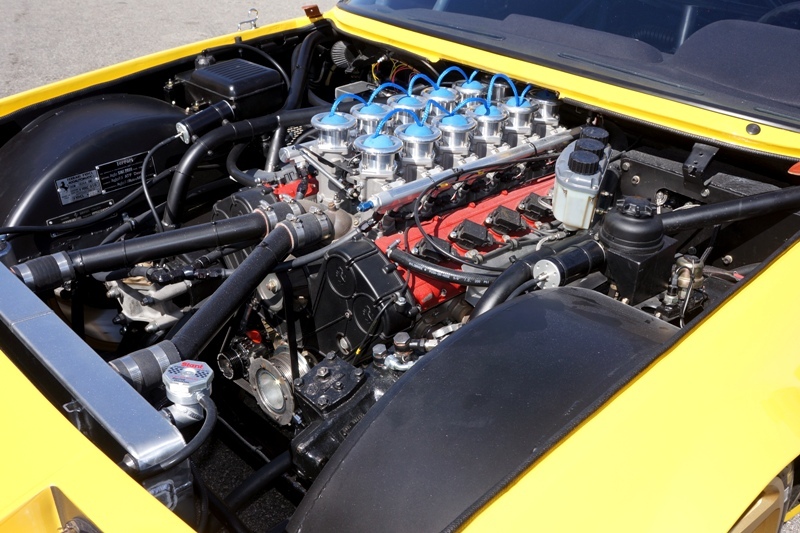 “We got rid of that, obviously, and put in a Tremec T-56 Magnum six-speed with two overdrives that we had modified for racing. 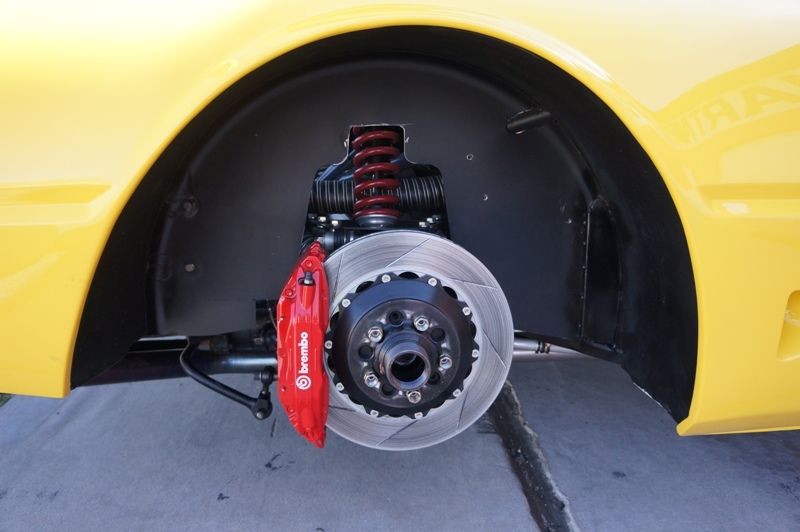 We went with a 5.12:1 final-drive differential that will work at almost every racetrack. It’s got drop gears just like in a sprint car, so we can change the ratio in about ten minutes. 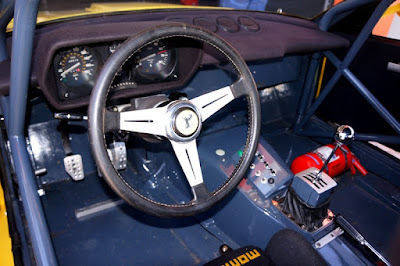 The Ferrari’s full frame was preserved, despite the new engine and driveline, although slight modifications were needed to adapt the quick-change rear end, and a roll cage was added. Then it was time to sort the suspension. Busby did toss the stock brakes, replacing them with Brembo 14-inch rotors and six-piston calipers fore, and 12-inch rotors and four-piston calipers aft. Tilton master cylinders reside at each corner. The 400i’s original hood was reworked with a riveted-on scoop, new louvers, and some unusual vintage touches. “The aluminum hood is a lift-off, in the style of Ferrari’s racing cars,” says Busby. “It has pins in the front, and at the back we did leather straps. 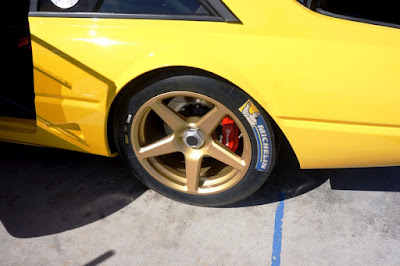 The GTO-type hold-downs, which are handmade by a guy in Holland for GTO restorations, I found on eBay.” Since the 400i is no GTO, the hold-downs’ tolerances had be modified in order not damage the hood or fenders. Busby’s next target was the Ferrari’s ugly, oh-so-’80s pop-up headlights: “We dropped correct-period Cibies, that we still had in our shop, down inside buckets we made in the fenders.” Aircraft Windshield Company in Los Alamitos, California, made the lights’ clear covers, which look similar to those found on Daytonas that raced at Le Mans. AFC also replicated the side, rear, and quarter windows from Lexan polycarbonate, and made the side-window sliders. For safety reasons, the windshield is standard Ferrari glass. It’s difficult to fathom, but the process that turned a wiped-out 400i road car into Busby’s vision of a race-ready GTC took only sixty days (albeit after it sat idle for a half year during planning). Of course, no one person builds a race car. It takes a shop-full, and Busby’s crew works as a team. Metal whiz Tiki Alvarez joins ranks with primary fabricator Keith Hickson and first mechanic-fabricator Steve Bounds, whose son Nathaniel built the front spoiler and splitter. Paint, details, and minor bodywork are handled by Chris Hukill, while Van Butler’s gig is cabin interior. 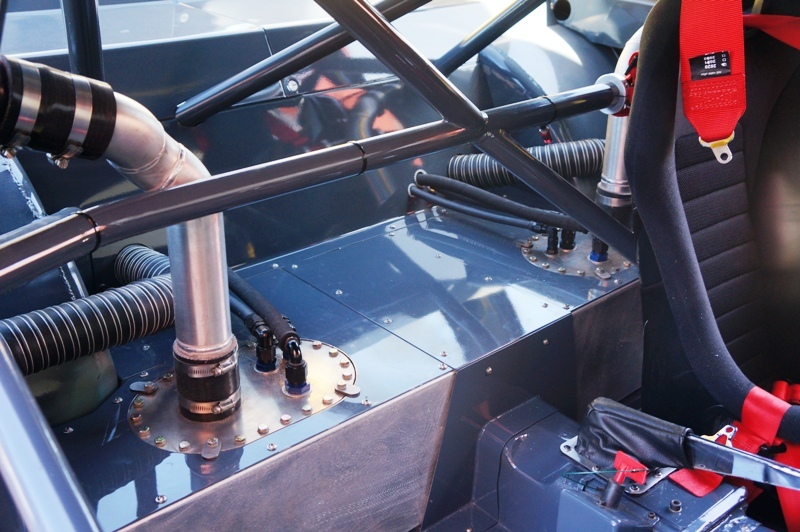 Dave Strader wired the entire car, then Shane Tecklenberg, who Busby called “the final baton runner in a relay race,” installed the self-contained MoTeC management system and its harnesses. Once that was done, and the car dropped off its stands on January 13, 2016, all that was left was to push the start button. “Without a whole lot of sorting, this is perhaps the most balanced GT car I’ve ever driven,” Busby tells me the day after testing [test #4] at Thermal, “and I’ve driven a lot. Remember that we moved the engine back eight inches, and we placed the transmission dead in the middle of the car. The fuel cells are where the back seats used to be, centering the weight, and by moving all of the suspension up, which essentially moves the car down, we retained the roll centers. Busby built the 400i GTC for the racetrack, but its next few events are anything but. Gordon McCall has invited it to be a centerpiece at his 25th Anniversary McCall’s Motorworks Revival Monterey Airport party this coming August [Wednesday 8/17/16 - 5:00 pm - 10:00 pm], during Monterey Automotive Week. Two days later, the Ferrari will go to The Quail: A Motorsports Gathering [Friday 8/19/16 - 10:00 am - 4:00 pm]. Don’t miss it if you’ll be in Monterey. 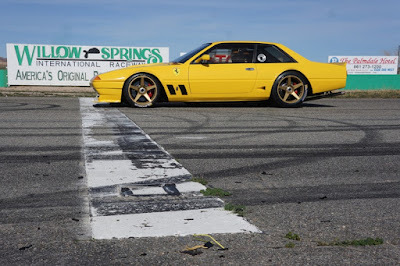 Automotive Week - Tuesday through Sunday, Monterey in August 16-21, 2016, will be this dream-come-to-reality, for one of the most forlorn of Ferrari platforms, coming out party. So if you plan to attend the Rolex Monterey Motorsports Reunion at Mazda Raceway Laguna Seca or take in the Pebble Beach Concours d'Elegance make it a point to look-up this "One-Of" for the motor culture ages, the Busby Fly Yellow Ferrari 400i GTC - this effort will never disappoint. In what may be one of the closest margins in a speed measurement over four laps at the famed Indianapolis Motor Speedway four cornered oval (someone should check the records), Canadian and Schmidt Peterson Motorsports' James Hinchcliffe inched out American and Ed Carpenter Racing's Josef Newgarden by .06 miles per hour. 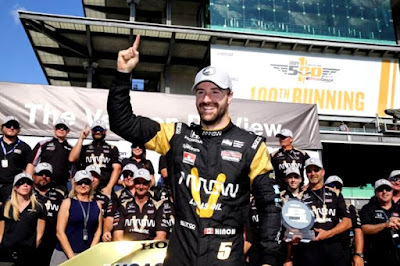 The Mayor of the fictional internet village of Hinchtown posted a 4 lap average of 230.760 - 02:36.0063 to Indiana's favorite son (but born in Hendersonville, TN) four lap average, who seemed unbeatable with a fastest lap in qualifications for the 100th Indianapolis 500 presented by PennGrade Motor Oil with a Lap 1 speed of 231.551, posting of 230.700 - 02:36.0470. So what exactly is the difference in a 0.0407th of a second in time? An IndyCar set-up engineer who is teamed up with James Hinchcliffe named ... Ron Catt. Moments after he earned pole position for the 100th Indy 500, and once he'd climbed from the car, the first person James Hinchcliffe sought out was Ron Catt. The two locked in a strong, reaffirming hug [after an affirming fistbump - above], and given where they were a year and a week ago, the firm embrace made sense. Wind the clock back to this time in 2015 and Hinchcliffe was in a hospital undergoing medical procedures to save his life. Catt, his crew chief, was staring at the bloody, tattered remains of Hinchcliffe's No. 5 Arrow Electronics Honda, desperately trying to make sense of the crash that nearly ended in tragedy. Through the ordeal, Catt's calm and warm demeanor helped keep the team together as Hinchcliffe healed. 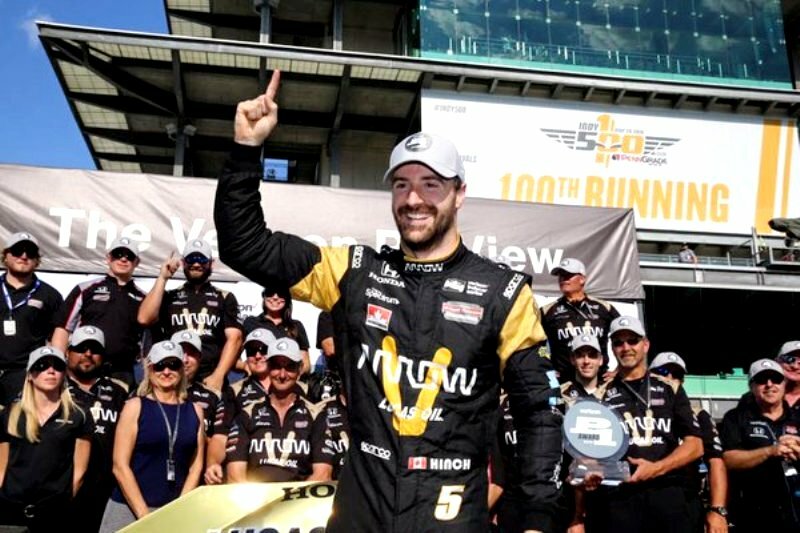 Pole at Indy, 369 days after all Hinchcliffe and his crew chief endured, was a deeply personal accomplishment for both men, and the 28-year-old Canadian leapt at the chance to heap praise on his friend. "Ron is a leader and that's what you need in a crew chief," Hinchcliffe told RACER. "He's looked up to by those guys, and that's makes such a difference having a guy at the top of that car everyone respects. And your driver respects. He's a great mechanic, but he's also a great human being. He's everything you'd want in a chief. "For all the work he and the team has done; we've got some in their second year in the sport and some grizzled veterans, but across the board I have a group guys I respect and have a lot of love for, and it all starts at the top with Ron." Catt did his best to keep his emotions in check, but the gravity of the team's journey since Indy 2015 was clear as he spoke. "It's a huge emotional roller-coaster," said Catt. "This is a total 180 from where we were a year ago. We went into qualifying with the mindset we just wanted to produce the best car we could and give him the chance to show everyone what this place means to him. For me, that was my train of thought. This was his time to shine. And he did it." Catt also credited his driver for being his counterpart in driving the No. 5 Honda program to reach its pole-winning capabilities. "Hinch is a funny guy all the time, but he wants to run up front and be the best he can be," he added. "He demands a lot from the car, and a lot from us, but it's a respectful demand. He wants to win races and that's what it takes to be successful." 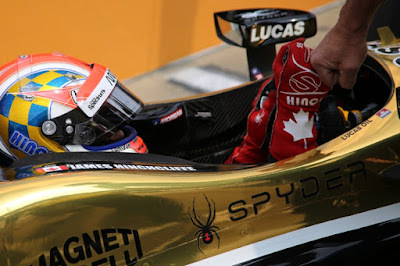 Ron Catt said it, right there, at the post qualifications interviews ... of James Hinchcliffe, he is no mouse because "He demands a lot from the car, and a lot from us, but it's a respectful demand. He wants to win races and that's what it takes to be successful." So what does it take, and just what exactly is the difference in a 0.0407th of a second in time? A Verizon P1 Pole Award at the 100th Indianapolis 500 presented by PennGrade Motor Oil proving that team effort in this one was truly a Catt & no mouse (read Hinch) game. 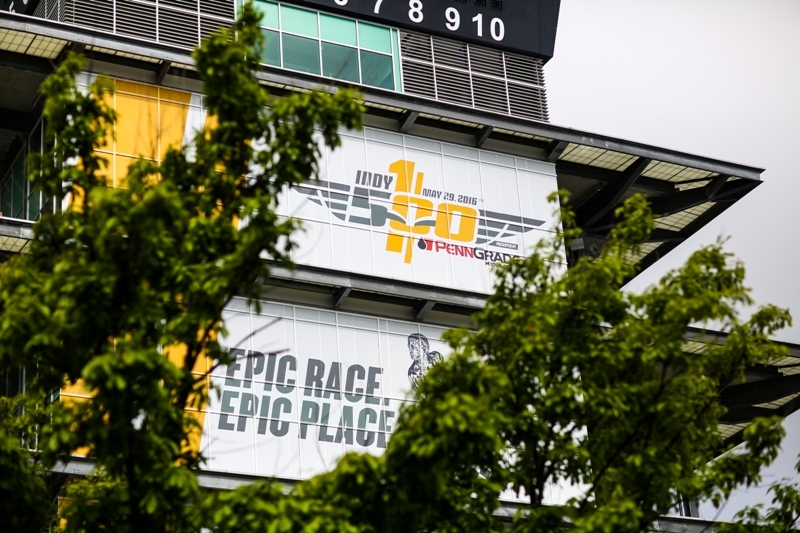 As Honda Racing heads into a historic month of May and the 100th running of the Indianapolis 500 on May 29, the automaker is commemorating its history and success in both the Indy 500 and in the Verizon IndyCar Series. 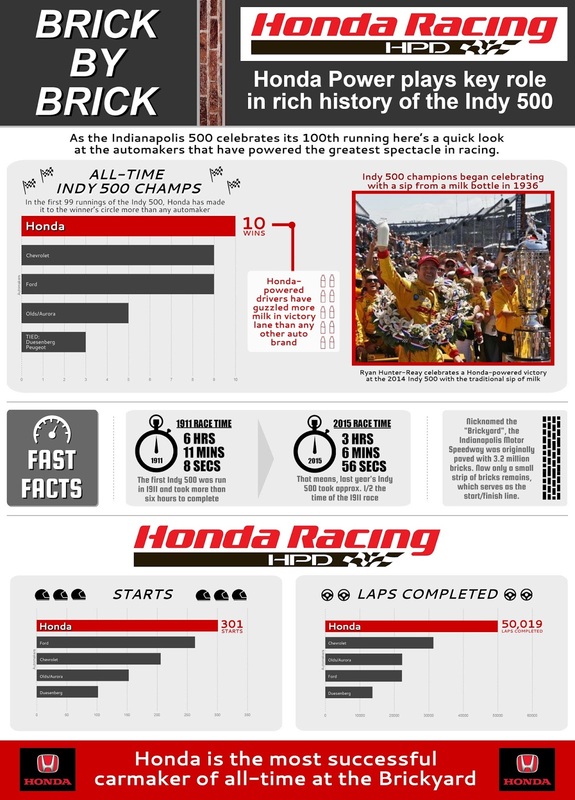 Honda is the most successful carmaker of all-time at the Indy 500, winning more races, having more starts and completing more laps than any other carmaker in the 99 previous editions of the event. 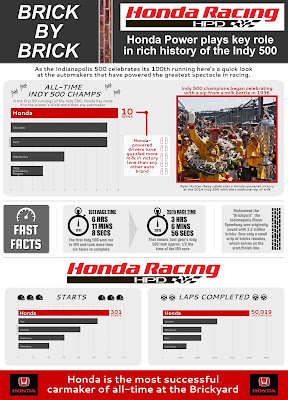 Since 1994, Honda has taken part in 15 Indianapolis 500 races, powering 10 race winners at The Brickyard. During 23 years of uninterrupted IndyCar competition, Honda has won 12 manufacturers’ championships, with Honda-powered drivers winning 217 races and 15 series championships – unmatched by any other automaker since Honda entered the series in 1994. Long before Honda power took to the Brickyard, Honda motorcycles were the "official field vehicles" for the 1965 Indianapolis 500, both for race officials and for the Firestone and Goodyear race teams. After careful thought and preparation, Honda entered IndyCar in 1994, and is the most successful carmaker of all-time at the Indy 500. Honda has competed in 15 Indianapolis 500 races. Honda has powered 10 drivers to the Borg Warner trophy, emblematic of the Indianapolis 500 championship. Since 1994, Honda has scored 12 Manufacturers’ Championships and drivers have won 217 races and 15 series championships with Honda power. 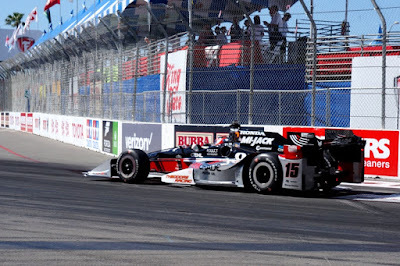 No other automaker has been able to achieve Honda’s record number of wins and titles since Honda entered the IndyCar series in 1994. Four races into a planned 16 race season with having two temporary street, one road, and one odd shaped oval courses in the books, Simon Pagenaud finds himself owning back-to-back wins and the championship points lead entering the famed "Month Of May" in the schedule. Just this weekend, it was announced that the season of 16 races may be in jeopardy because the negotiations to bring a temporary street race event to the city of Boston have come to a halt and an end for 2016 (and possibly beyond) leaving everyone to say to themselves - Oh no, not again. 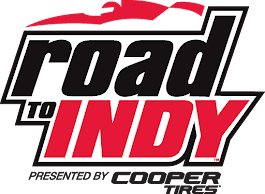 In this episode of Championship Racing Radio, Road To Indy contributor Josh Farmer has invited Frank Santoroski Jr. (Drafting The Circuits), and Edmund Jenks (... notes from The EDJE, Motorsports Journal), with the Month Of May - featuring the two race Grand Prix Of Indianapolis road course, and the hallmark 100th INDY 500 oval of oval courses at Indianapolis Motor Speedway - augmented with losing Boston off of the schedule as a backdrop ... to discuss all things IndyCar. After the Boston heave (ho) party, the lead speculation for a replacement race has the venerable road course at Watkins Glen becoming a Labor Day event shared with a Ferrari weekend in order to keep the Northeast market schedule option viable. If this were not enough, a rumor has started circulating about a post season October 2016 international exhibition non-points paying race in China ... yes, no points and China. THE MODERATOR: You mentioned you won the first race on the road course at Indianapolis Motor Speedway in 2014. 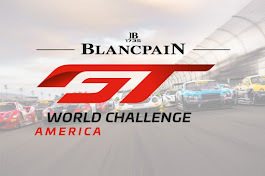 What do you like about the road course, and what kind of race do you expect? SIMON PAGENAUD: I love the road course. It's a beautiful layout. The surface is really smooth so we can really be aggressive with the setup on the IndyCar. I just love the fact that we kick off the month of May with a road course. The fans can see the cars in that configuration. Then we switch over the Indy mode after that. I think it's great. It's what IndyCar is all about: diversity. We're showing what we can do. Different kind of tracks, different configurations, the aerodynamics. I find that very exciting. The track itself, it's quite flat, which I like that better than blind corners. You can really maximize your vision and your driving. Q. One thing that occurred over the weekend was the Boston news, a bit unfortunate. Were you surprised by that? Is there anyplace in particular that sticks out you'd like to go for a replacement round? SIMON PAGENAUD: Yeah, I'm very disappointed. That was going to be a great event, perfect position in the city. I managed to see the excitement of I guess half of the population in Boston because I know some of the population was not excited about it. There were a lot of people that were pulling for the race. I saw the excitement. The racetrack itself looked like it was going to be a beautiful layout. We were going to go through a tunnel, which would have been really cool. It is what it is. It's beyond my reach. I hope we can replace the race. For sure, I'm thinking of Watkins Glen. I've never been there, but it looks like a beautiful track. It's been repaved, as well, recently. That would be a good market and really cool track to go to. There's plenty of tracks in America that could be exciting to go to. I'd like to go back to Fontana personally. I love that oval. But I don't know what's going to happen. Q. Maybe you could bug John Menard to get Milwaukee back on the schedule. SIMON PAGENAUD: There you go (laughter). Then, of course, the 100th INDY 500, and the potential list of new drivers added to the field ... some of which will compete in both races during the Month Of May at Indianapolis Motor Speedway. Matthew Brabham, son of Geoff Brabham, and grandson of Sir Jack Brabham will enter with KV Racing Technology. Brabham will attempt to become the third, third-generation driver to qualify in Indy 500 history. The previous two were Billy Vukovich III and Marco Andretti. The car will carry No. 61. Spencer Pigot will drive for Rahal Letterman Lanigan Racing. 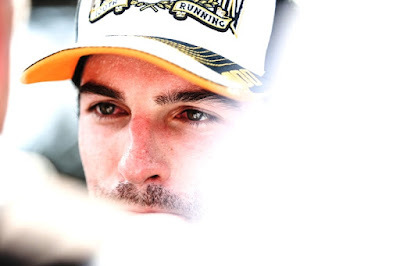 J.R. Hildebrand will drive car No. 6 for Ed Carpenter Racing. Alex Tagliani will drive for A.J. Foyt Enterprises. Tagliani will drive car No. 35 in honor of Foyt's record of 35 consecutive starts in the race as a driver. Sage Karam will drive for Dreyer & Reinbold Racing-Kingdom Racing in the No. 24 Gas Monkey Energy/Havoline Chevy. Bryan Clauson will drive for Dale Coyne Racing-Jonathan Byrd's Racing in the No. 88. Pippa Mann will drive for Dale Coyne Racing. Buddy Lazier will drive for Lazier Partners Racing. This year marks the 20th anniversary of Lazier's Indy 500 victory. Townsend Bell will drive car No. 29 for Andretti Autosport. Oriol Servià will drive a third entry for Schmidt Peterson Motorsports. The Honda-powered car will feature No.77 and will be in conjunction with Marotti Racing. Stefan Wilson will drive for KVSH Racing. Stefan is the younger brother of Justin Wilson, who was killed in a racing incident last August at the ABC Supply 500. The car will carry No. 25, a tribute to the number Justin drove in the 2015 season. Katherine Legge will join Grace Autosport for the 2016 race [still pending]. This will be her first attempt since the 2013 Indianapolis 500. Grace Autosport is the first ever all-female racing team to compete at Indianapolis. Editor's Note: Do not count out Gabby Chaves and a hook-up with Dale Coyne ... the door, at the time of this publishing ... is still open! Listen in as Josh, Ed and Frank Santoroski, Jr. of Drafting the Circuits enjoy discussing IndyCar open wheel racing, drivers, teams, and the Month Of May.